I first traveled to the Holy Land in the 1980s, and after many years of reading and studying about its geography, history and biblical connections, I went there as a volunteer in 1999. What began then as a mid-life adventure turned into something of an off-beat lifestyle that somehow stretched into 14 fascinating years! Along the way, I gained the honorific title “Abu Bissas”, which translates roughly to “Father of All Cats”! 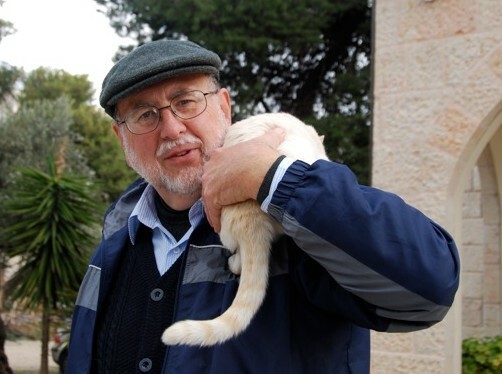 I first served as a guide and teacher for two Jerusalem-based Christian organizations, then lived in Nazareth for 3-1/2 years where I was a volunteer at the Nazareth Hospital and, on occasion, at the neighboring Nazareth Village project. Along the way, I indulged my interest in archaeology by helping with digs at Bethsaida and Kursi near the Sea of Galilee and the “Cave of John the Baptist” west of Jerusalem. In January 2005 I returned to live in Jerusalem and immerse myself in an intensive guide course, the natural culmination of all my forgoing explorations and personal study. Thus, in 2006 I graduated from the Archaeological Seminars Institute tour guide training course, and in January 2007 passed the guide licensing exam of the Israel Ministry of Tourism. I knew up front that I could not be officially licensed, not being a citizen (their rules), still it was something I “had to do”– perhaps to prove to myself that I could do it. 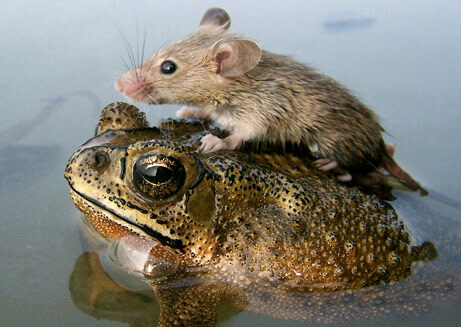 Still, over the years I did many smaller, private guiding jobs in Jerusalem and around the country. From 2005 to 2013 I resided, and volunteered in several capacities, at Jerusalem’s St. Stephen’s Priory (Dominican) a.k.a. the École Biblique, the French Biblical and Archaeological School. Totally apart from my official duties, my enduring legacy there will surely be the colony of cats I tended for most of those years (and which I continued feeding, from afar, until 2016). During the course of my Israel-Palestine sojourn, something happened: certain things began to intrude upon my consciousness, unanticipated and unbidden. In particular, I gained clearer, more nuanced understandings of both the modern history of that land and also the present-day realities of “The Situation” there (a popular Israeli euphemism). I only regret that I came to these so late. Yet (in my own defense), early on it was still a time of relative quiet. Yes, the hope of Oslo was already effectively dead, the perennial undercurrents were certainly there, and the daily perversities of travel restrictions, evictions and house demolitions were grinding inexorably on. However, blissfully — sadly — these mostly passed under my radar. And, early on, the Second Intifada, Defensive Shield, the Separation Barrier, Lebanon II, Cast Lead and so much more — all still lay over the horizon. The latter-day realities which gradually entered my field of vision — from the roots of modern-day Zionism to the latest land-grab — dealing as they do with compelling issues of justice and injustice, and the everyday lives of flesh-and-blood people that God created and loves — all these I have come to deem at least as important as (if not more than) all of that Land’s ancient/biblical connections. Those connections are fascinating, valuable and often enriching, and I still embrace them, of course. Yet too many people, especially Christians, focus on these to the exclusion of almost all else, or, worse, they intentionally block out the modern-day, human realities in their naive rush to uncritically “bless Israel”. So, that has always been the “other” face of this web-log: a challenge to think, proclaim and act in an informed and thoughtful way about That Place, and indeed about where the heart of God lies in relation to what transpires there every day. I am no longer guiding people in the Holy Land — that’s hard to do from my new/old base in the North Carolina mountains, but I continue to engage in projects of research, writing and editing. I always welcome rational, respectful dialogue, on any topic. 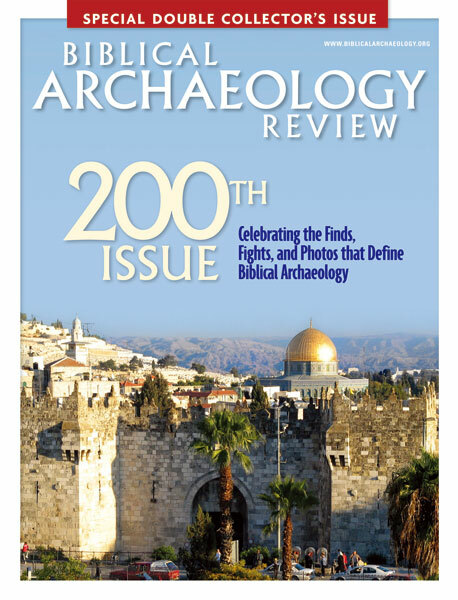 The image appearing at the top of many of these pages is cropped from a larger photo which I was honored to have used on the cover of the special 200th issue of Biblical Archaeology Review (2009). It captures an unusual view of the Old City — and beyond — looking southeast, showing Damascus Gate, Jerusalem’s “front door” since the time of Hadrian, and the Dome of the Rock, the city’s chief visual trademark for the past 1300 years; ascending to the left are the southern slopes of the Mount of Olives. In connection with a query from Dr. Győző Vörös, the Hungarian archaeologist heading up work on the ancient fortress of Machaerus, my photo has now received a bit more scrutiny– I have given Dr. Voros permission to use the image in his latest book-length report due out next year, Machaerus III. Anyway, the image below reflects some of the professor’s excellent visual detective work: a side-by-side comparison of my image and Google Earth, matching certain geographical features surrounding Machaerus that are visible in both, with the site itself marked by an arrow. Screen capture, courtesy Dr. Voros. Out of curiosity, I then tried plotting (rather crudely) the actual line-of-sight of my photograph, from my elevated viewpoint north of the Old City, through the Dome of the Rock, and extended on into Jordan. Sure enough, Machaerus (red marker on the second image below) falls to the left of the Dome (by about 10 compass degrees, by my reckoning; an actual compass bearing, Damascus Gate to Machaerus, is roughly 122 degrees). Have you ever met or corresponded with Tom Segev? Israeli Writer, columnist. I never met the man, but have followed Segev’s work over the years, especially his pieces for the Haaretz newspaper. I very much want to read his book One Palestine, Complete: Jews and Arabs Under the British Mandate.